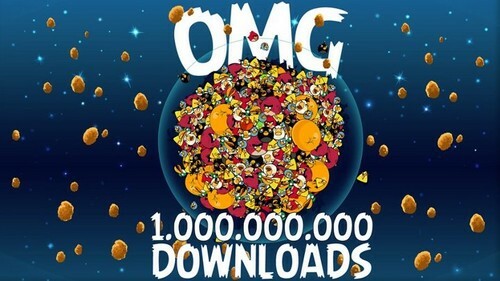 OMG 1.000.000.000 Downloads!. . Wallpaper and background images in the angry birds club tagged: angry birds game. This angry birds photo might contain tanda, poster, teks, papan tulis, jagung meletus, and popcorn.